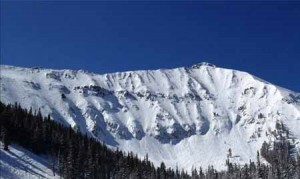 Welcome to Big Sky, Montana - home of some of the best lift-accessed big mountain skiing in the United States. Are you ready to explore the mountain and try to ski or ride some of Big Sky's best ski runs for experts? We thought so. 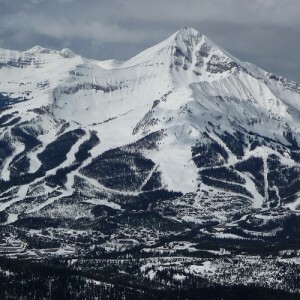 The iconic Lone Mountain is the perfect destination for in-bounds extreme skiing. 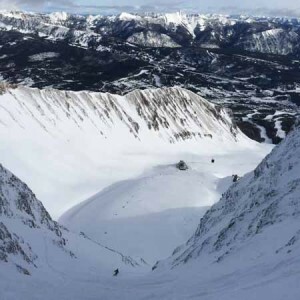 It's easy to find craggy headwalls, fun couloirs, deep bowls, stunning basins, and steep chutes at Big Sky Resort. It's dream terrain for any expert skier or rider who wants to challenge themselves in Big Sky's steep and deep. Big Couloir - Big Sky's signature couloir doglegs down the rocky face below the tram. If you want to ski this run you need a friend, avalanche beacon, shovel, and probe. You also must sign out with Ski Patrol. Dictator Chutes - These steep chutes drop steeply off of the ridge into Lenin and offer steep and protected turns all the way to the snowy apron far below. Three Forks - The ridge hike from the top of the Headwaters Chair is intimidating, but peering down the steep and committing line of Three Forks is what steep skiing is all about. North Summit Snowfield - The North Summit Snowfield is a huge piece of skiing and riding real estate that can only be skied if you sign out with ski patrol. This line drops you into some of Big Sky's most remote terrain where route finding is essential. After you ski the snowfield, you can choose your own adventure through Great Falls, Rips, Tears, or Direct. There's nothing like skiing from 11,166' to 7,140' in one long descent. Big Rock Tongue - For easy access, steep turns that get the heart pumping, head to BRT under the Challenger Chair. With a bit of navigating you can enter this tight line while people on the chair watch in awe. Find these runs and mores on the Big Sky Resort Trail Map. Big Sky's terrain is ranked using the standard ski trail ranking system - Green Circle, Blue Square, Black Diamond, Double Black Diamond. It's important to note that every mountain's scale is relative that specific resort. Work your way into the bigger terrain slowly. Even if you ski the hardest runs at other resorts, you might be in over your head at Big Sky. Before you commit to a line, always know where you are going and get the latest conditions report. Is it forgiving powder, firm and chalky, or the dreaded slide for life? Whether you head to the Headwaters, A to Z chutes, Lone Mountain, Lone Tree, Challenger Zone, or one of the hidden gems that only ski patrol knows about, you're bound to find turns that get the adrenaline pumping.